Ratchet Tie Down assemblies are the complete lashing system with the benefits of high pretension therefore less damage to cargo for general transport requirements. • Lashing capacities available from 350kg to 5,000kg with Webbing widths from 25mm to 75mm. 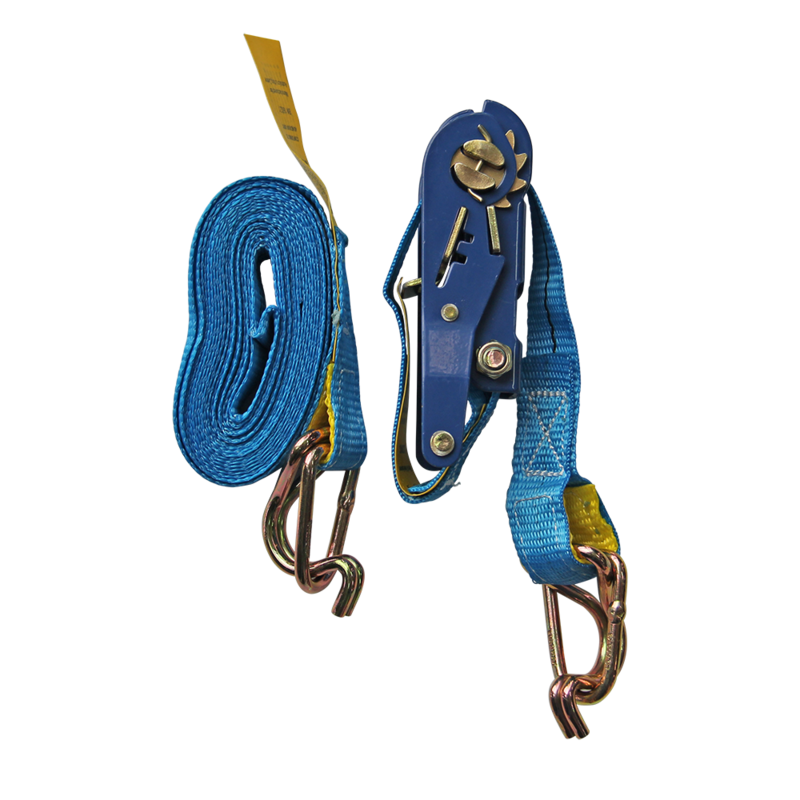 • Manufactured from high tenacity polyester Webbing, heavy duty Hook and Keepers stamped with lashing capacity, heavy duty powder coated Ratchet Buckle. • ID tagged on both tail and free end of strap with, lashing capacity, strap length, safety information, date of manufacture, batch numbered and branded for traceability. • Batch Test Certificate available upon request. Complies with AS/NZS 4380.